This info was released in a statement by U.S. Embassy to commemorate World AIDS Day, this past Sunday, 1 Dec 2013. More and more people in Haiti are now testing for HIV and AIDS the embassy says. The number of HIV test went from 58,433 in 2004 to 839,033 now. 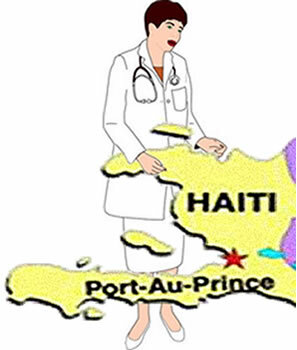 Haiti once had one of the highest AIDS rates outside of Africa but that has dropped in part because of a massive influx of foreign aid that has made treatment and prevention more available. « Are you Ready for the Holidays? is Santa coming to visit? Knowing my people...I doubt half of them has ever taken an HIV test.